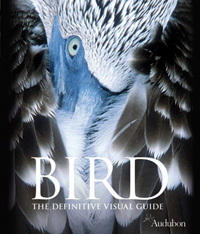 BIRD: The Definitive Visual Guide is just an awesome book, ideal for birders, nature lovers, and essentially anyone with eyes. With the holidays coming, this volume may top many lists. It retails for $50.00 in the United States and $60.00 in Canada but the fine humanitarians at DK Publishing have empowered us to give away not one, not two, but FIVE copies of their precious publication. As you might surmise, we’re going to have some fun with this. The rules for the first two giveaways are below. I’ll be adding to this page as we introduce subsequent contests, so be sure to bookmark it. Also note that even if you receive a book from one contest, you’re still eligible to receive other ones. Now have at it and good luck! This contest, technically the first one since the Essay contest won’t resolve until December, is one of the easiest one to participate it. Simply help us promote the giveaways we’ll be running for the next five weeks by posting a link to this page on your blog. Anyone who posts a link on their blog or website will automatically be eligible to win our first giveaway. Anyone who posts a link on their blog(s) will be added to the list from which we will, through the magic of a random number generator, select a winner. Only one link per blog will count and links on multiple blogs generate multiple entries. The deadline is Friday, 11/9. We’ll select the winner of this contest on 11/10. Yes, you may reason that publicizing these giveaways may be contrary to your best interest since every additional participant may lower your odds of receiving a book. I should note, however, that by NOT publicizing them, you have no chance whatsoever of receiving the book earmarked for this giveaway. Anyway, this machine runs on karma so spread the word and let everyone know that there are plenty of free copies of BIRD (well, five actually) to go around! So make your contribution to the historical canon. Send me your best effort by Friday, 11/16. Please limit your limericking to three verses in total, related or separate. We’ll be publishing all the limericks with attribution together on a single page for posterity! BIRD is a volume with hidden depths. Not only does the book dazzle with spectacular bird photos and accounts, but scattered throughout are descriptions of Great Sites, internationally acclaimed vortexes of avian activity. But awesomeness is, as it’s been said, in the eye of the beholder. What is your Great Site, the park, promontory, or preserve that defines, for you, the best of birding? Choose one publicly accessible location, unless you want twitchers trampling your backyard feeders, and share a sentence or two about what makes it magical. Simply send me your Great Site and description to volunteer yourself as the randomly selected recipient of our fourth free copy of BIRD. The deadline is Friday, 11/23. Since BIRD is a paean to the planet’s avian diversity, let’s join the authors in celebrating the birds we love. Write an original essay of at least 250 and no more than 750 words in praise of a single bird species. Photos of up to 400 pixels in width are welcome as long as the author has rights to the images. The title of the post must be “In Praise of (SPECIES)” with content suitable for an audience of all ages. By submitting an essay, you are consenting to having it published on 10,000 Birds. Send your essay to us by 11/30. We will then post every submission on 10,000 Birds throughout the first week of December for your reading pleasure after which we’ll either select the winner ourselves or, assuming we can get the right WordPress plugin to work, create a reader poll to determine the winner. So pick your favorite bird species and help us love it the way you do. Do you have original, innovative, or infallible ideas about what gift best suits a bird watcher? Send me one excellent suggestion for what you would buy for the birder you love (or like or are obligated by familial or social ties to purchase gifts for, etc.) by Wednesday, December 12. Corey, Charlie, and I will choose our favorite ideas and award one of four different amazing books to the authors of those ideas. We’ll also aggregate all the gift ideas in the hopes of assuaging everyone else’s last-minute giving needs. Okee-dokee! I’m game! 🙂 Sounds like fun! Go, Liza Lee! You’re now in the lead for the first book and getting a headstart on the other. Well done. Great idea guys, something to get the creative juices flowing, I’m in as well. How will you be tracking the links? Brilliant question, Carrie. Most blog links are automatically picked up by the WordPress software, but I’m not sure if Livejournal links are. I’m glad you asked because now I know you’re on the list! That book sounds so good I’m surprised you can part with any copies. Thanks for offering them around the blogosphere! I’ll link along Mike and may even write something. Thanks for the fun! I have added the contest to my blog, wish me luck! Good luck to you, Patty, and everyone else! blogfishx, having started at gsb.stanford where i’d intended to look up an old friend. two minutes later i was immersed in bmag articles and related stories, then the may 2004 issue … then –> x, y, and you. admittedly, i didn’t linger in california after coming to, around and thru the three sites. you ‘guys are Great. (were it legal) that ‘pretty understated’ is in itself an understatement. * surely you won’t want to deprive the eyes or mind of a lady living in landlocked 67439! Susan, I really appreciate your kind words, not to mention your commitment to receiving a copy of BIRD. Don’t you worry… while this week’s giveaway is for bloggers and site owners, the next four weeks, including the essay already described, are open to everyone. Stay tuned! Very nice, Nathan. Are you trying to intimidate other prospective poets with this fine, double-wide limerick? Nope, just putting off writing a paper.. Limericks are more fun than work. .